I've been playing guitar for about 17 years, and should be way better than I am, but still. 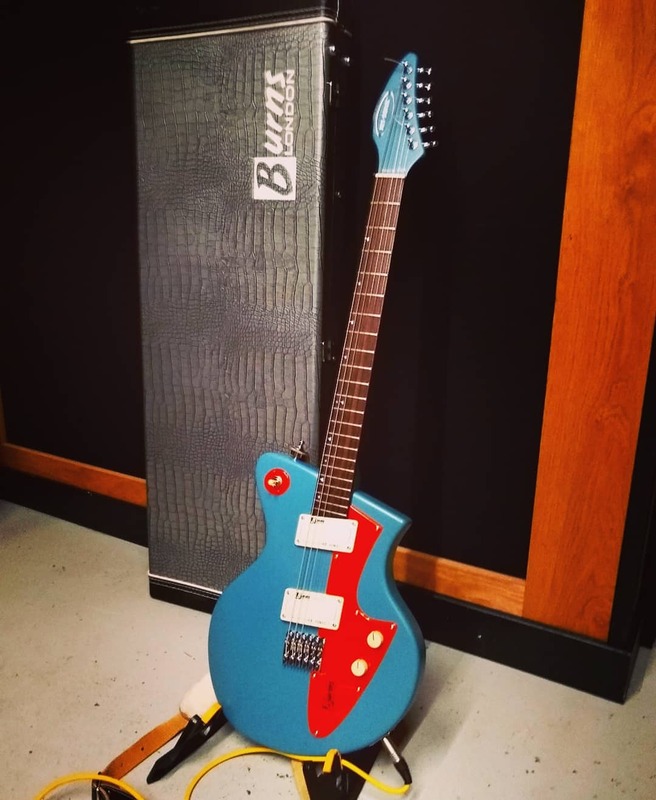 I've always liked unusual guitars, and have three offsets at the moment. Matching colour scheme was accidental! COOL guitars dude! I also am curious about the tones. Thank you! Yeah - the JetSonic in particular reminds me of the Jetsons. It has that retro-futuristic thing going on. 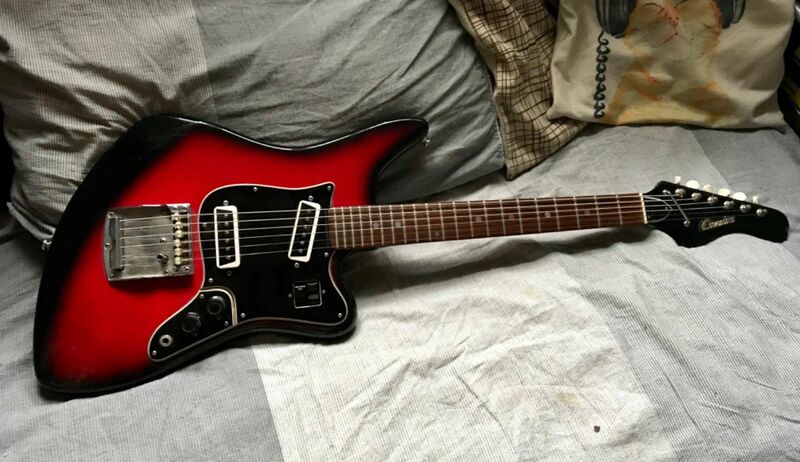 The JagStang is a really quirky guitar. 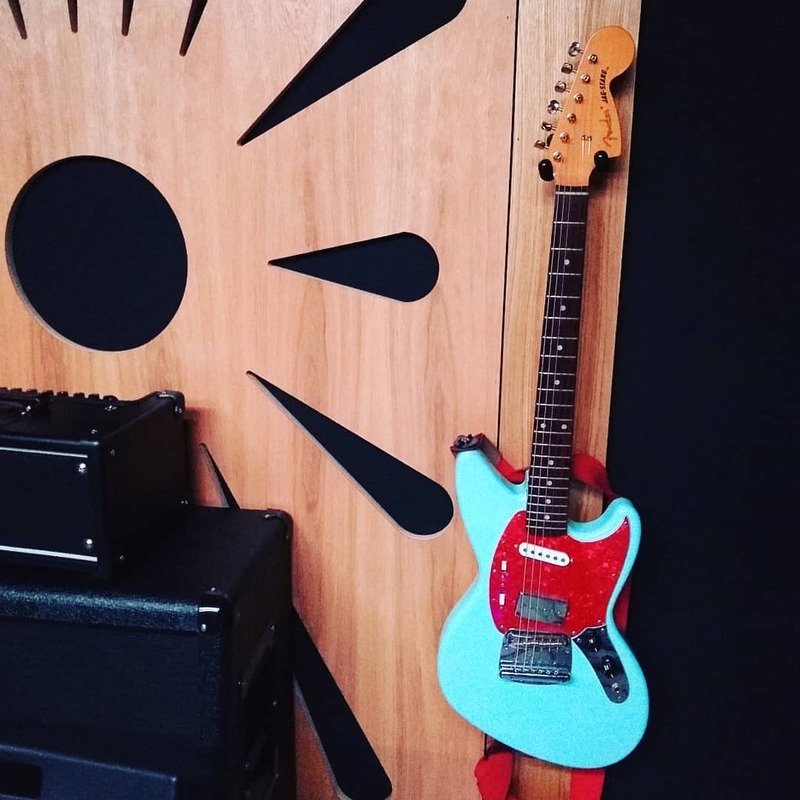 It catches folk off guard because it's a Fender, but... not quite right. It has a USA Strat Single Coil pickup in the neck, and a Bare Knuckle P90 in the bridge position. The Bridge pickup sounds huge, and the neck much more jangly. I have it wired so I can do some weird out of phase things, which means I can have big distorted sounds with the jangly bits sitting on top, which I like a lot. It's fun to play, but can be uncomfortable if you play it higher up - as there isn't really a body contour. The JetSonic is easily the nicest guitar I've ever played. It has a set neck, and is this really smooth satin finish which makes everything feel real good. It has two 'split coil' humbucking pickups which work on a push-pull basis with the knobs. I tend to play it full on grungey style, but you can get a whole range of buttery tones out of it as well. Everything feels like a lot of thought has gone into it. I'm still waiting on that Commodore to arrive, so will see how that sounds! I love how it looks so spikey and... forward though. Like it will encourage rocking out.